On the salt and tar steps. 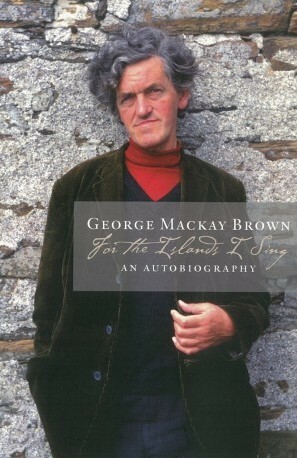 George Mackay Brown holds a very sweet place in my heart, though I was never fortunate enough to meet the man. My first awareness of him was in about 2001. 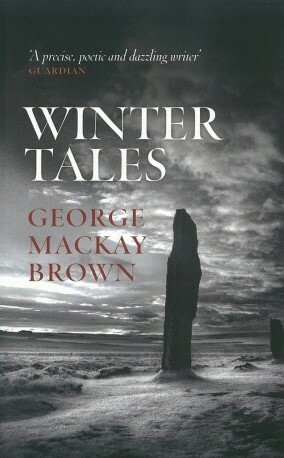 I was researching Orkney for a book I hoped to write, and George kept popping up. I stumbled across his Under Brinkie's Brae from my home in America. 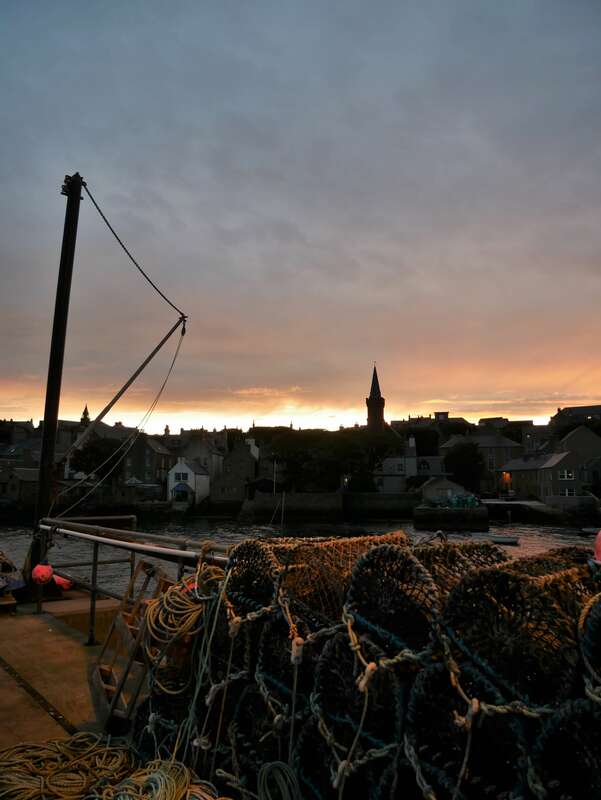 Entranced by everyday life in Orkney as George described it, I devoured his writings. From the beginning, "under Brinkie's Brae" was almost a magical incantation to me. It seemed to hold the power to whisk me away from the pressing cares of that day into a simpler kind of life. To read our story, go to this page. Okay, so it was pure romanticism. And yet, many years later ... here I am, literally living under Brinkie's Brae. Maybe there was a little magic in George's words, after all. 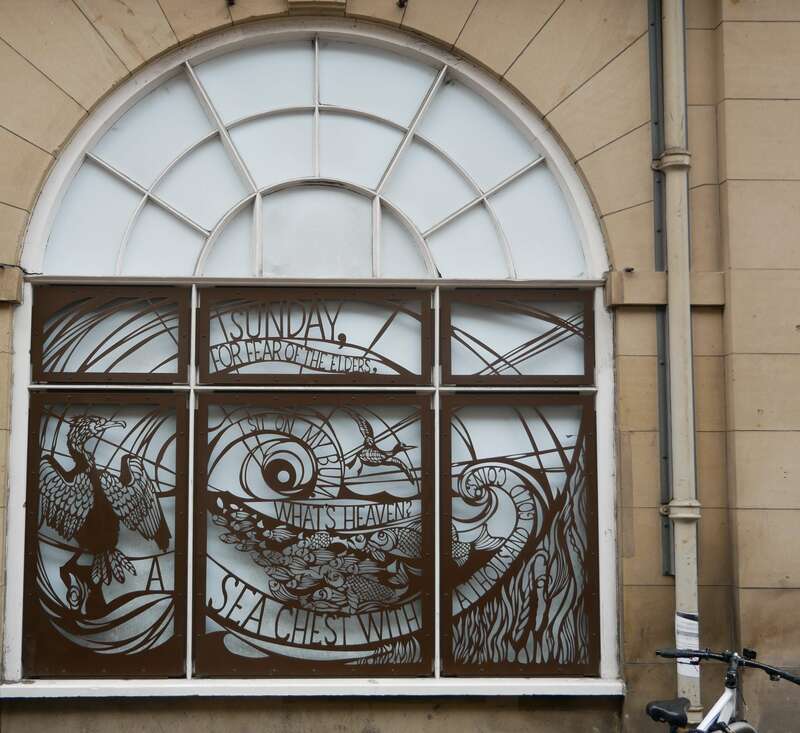 Read on to discover Orkney's sweet bard. 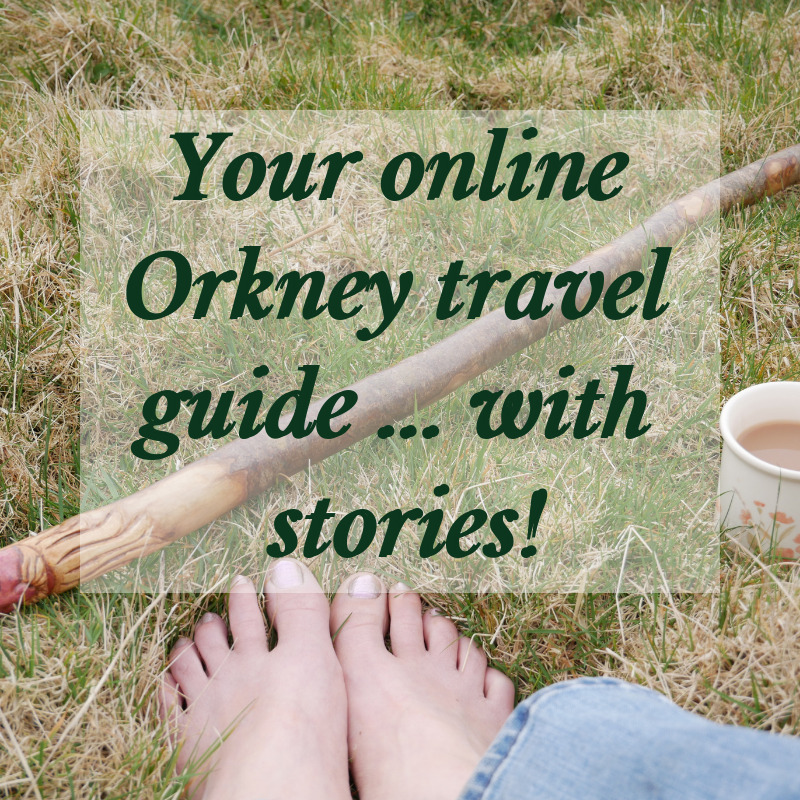 Skip down the page here if you're in a hurry - you'll find GMB-related sites to visit in Orkney. 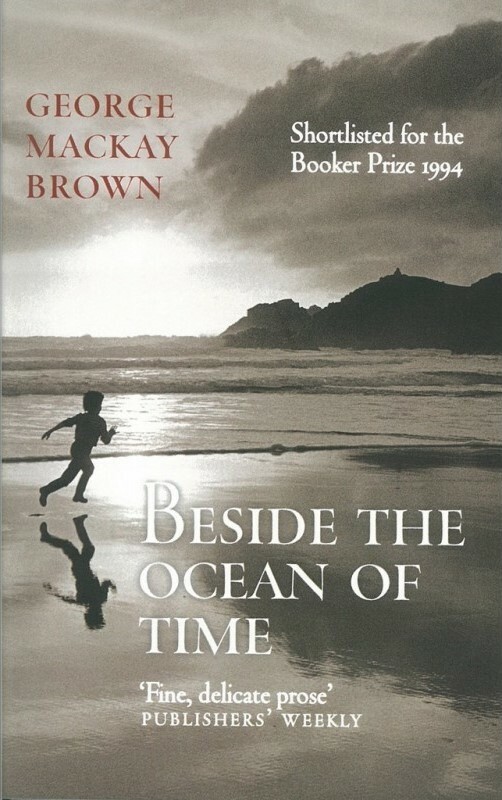 "The first house I remember was in a sea-close just off the main street of Stromness. On his way home from the Royal, George would sometimes point to the upstairs street-facing window of his birthplace, and say: "From that window I first saw the light of day". 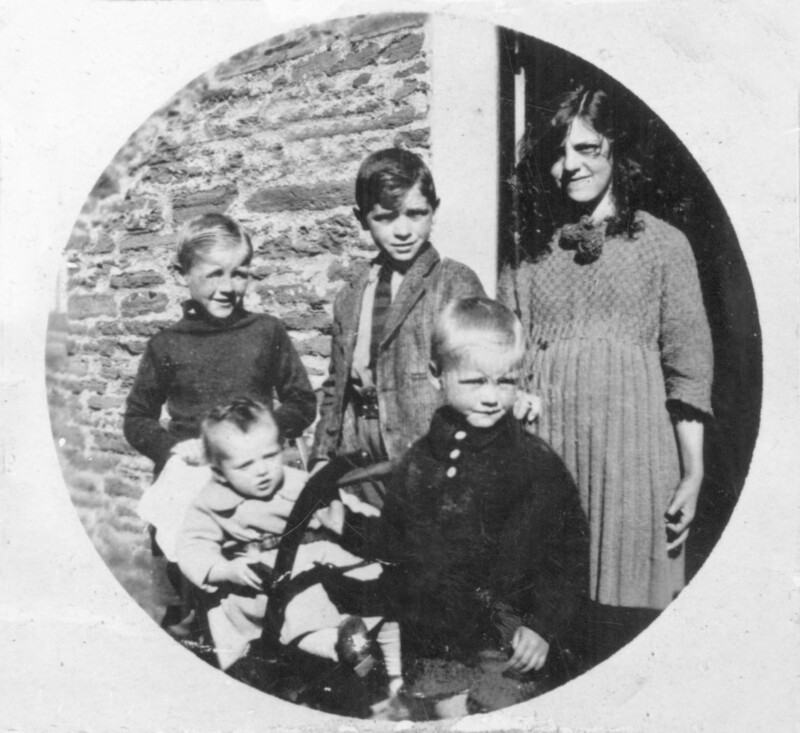 The nationally celebrated artist, Sylvia Wishart RSA, was born at Pinnie's Close, right next door to the birthplace of George Mackay Brown. 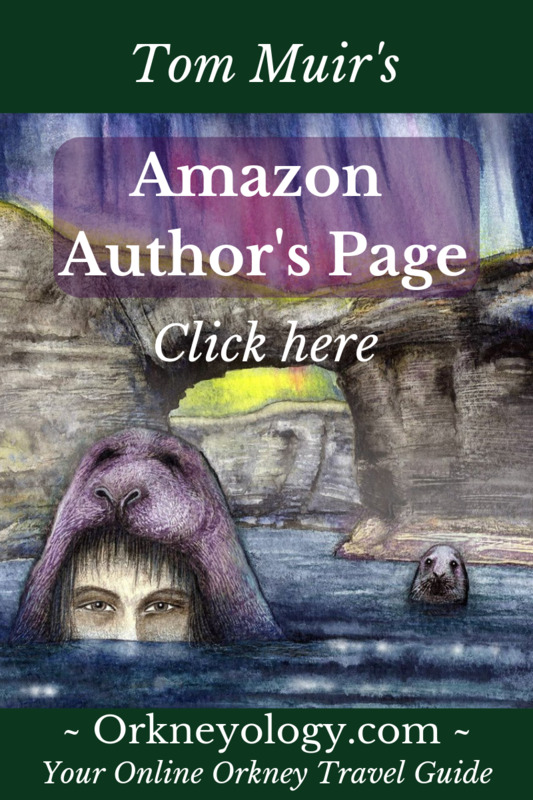 She illustrated his book A Tapestry of Orkney. In later years George was a regular guest at her annual garden party. (See the map at the bottom of this page.) They took place at Heatherybraes, looking out to Hoy - and always on a lovely summer's day! There, on the pier, fishermen worked at their lines and lobster-creels … The little town was full of shops in the 1920s, some of them sweetie-shops kept by old women. 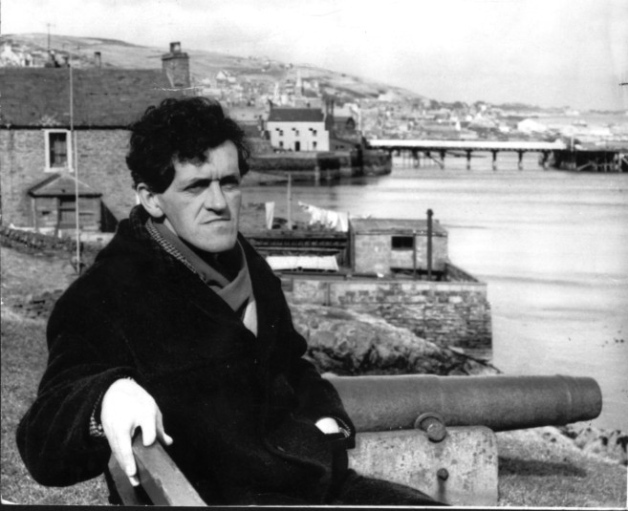 These were places of delight … I [was] as wild a boy as any … we all went free as birds between the hills and the piers. 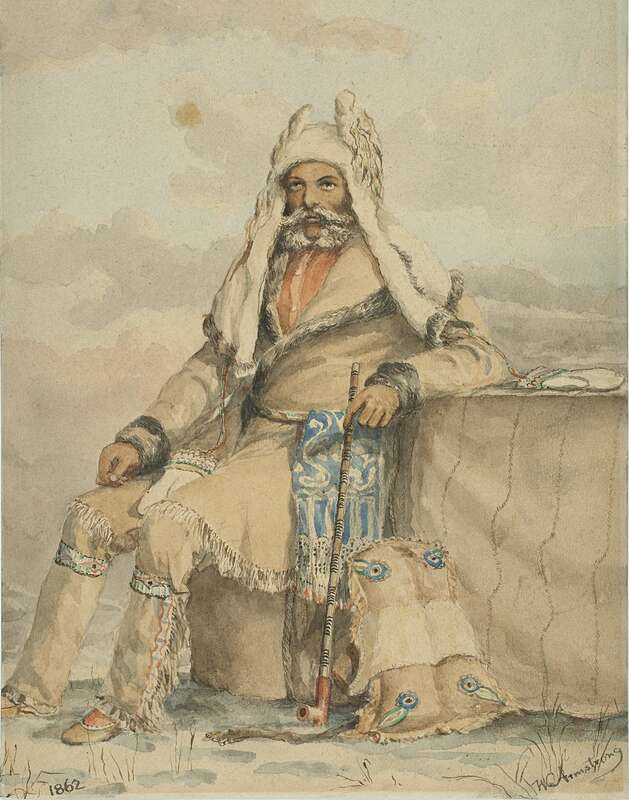 Along with his friends George devoured the comics of D. C. Thomson – Wizard, Rover, Hotspur and others, and was from the age of twelve a dedicated smoker. "Composition was a subject dreaded by most of the pupils. To me, writing came effortlessly … I really couldn’t understand it when week after week our teacher said, 'George Brown has written the best composition again'." George grew to enjoy the works of Shakespeare and the poems of Keats and Shelley. In his ’teens he suffered a severe attack of measles that weakened his constitution, and at the age of nineteen he was diagnosed with tuberculosis. 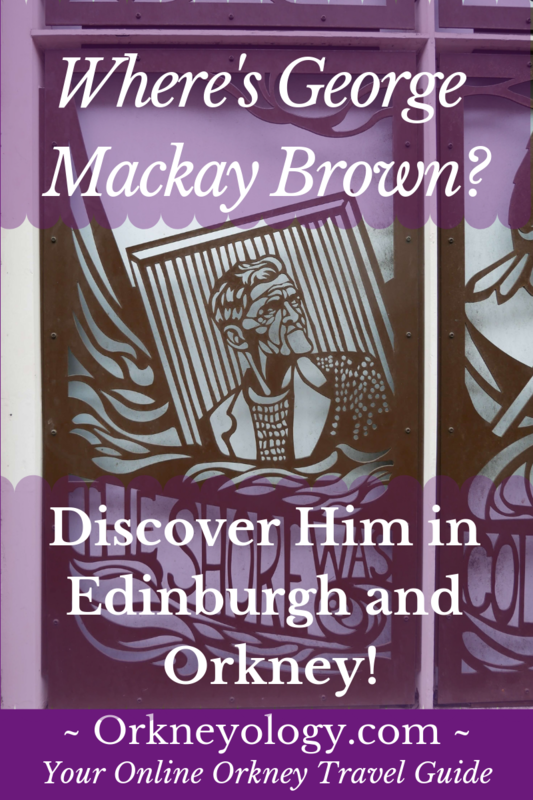 During his time as a patient in the sanatorium in Kirkwall he wrote poems, articles and book reviews for The Orkney Herald. 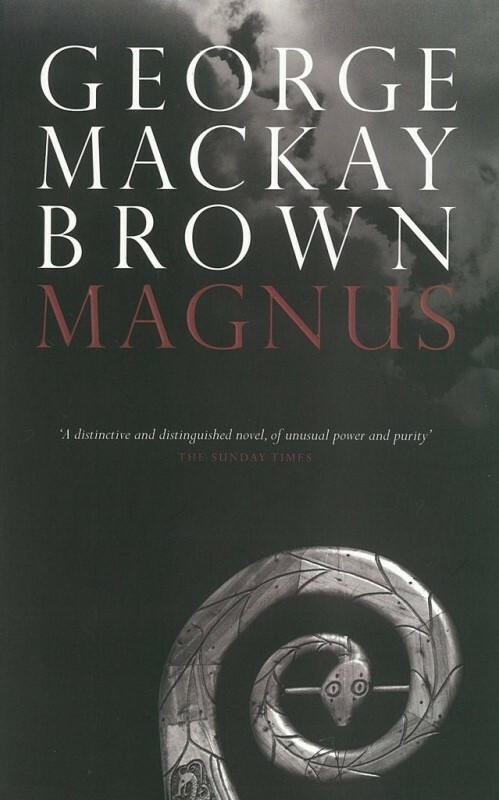 He read deeply in Orkney history, in particular the Viking sagas, on which he honed his literary style. "The first few glasses of beer were a revelation; they flushed my veins with happiness; they washed away all cares and shyness and worries … over the years it has brought me happiness, laughter, and misery of mind and body." "Drink unlocked their tongues and made poets of them … Every day I was one of the chorus in the pub. I didn’t like darts or dominoes, only the beer and the stories and the laughter." 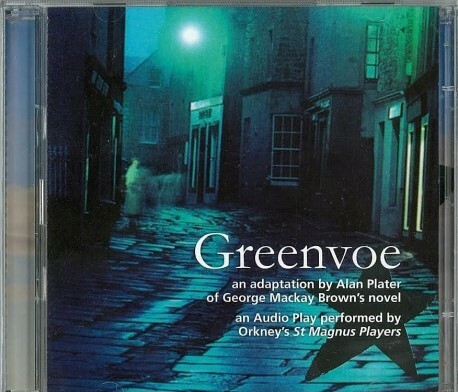 George’s exceptional literary gift was noted by Orkney’s director of adult education, Alex Doloughan, who in 1951 persuaded him to apply for entry to the adult education college Newbattle Abbey, near Edinburgh. 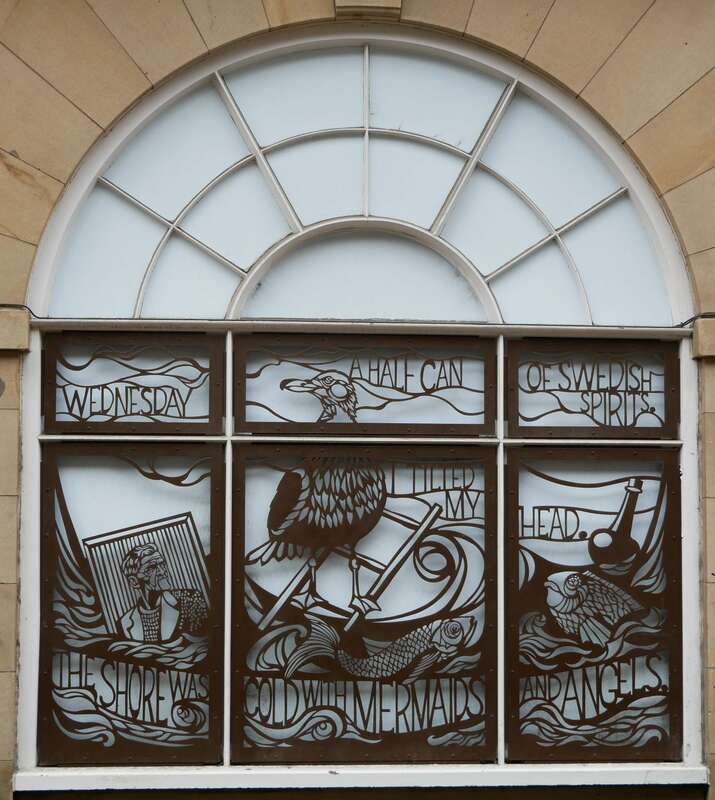 The warden of the college, the Orkney-born poet Edwin Muir, thought so highly of his poems that he passed them on to the Hogarth Press, and they were published in the volume Loaves and Fishes. 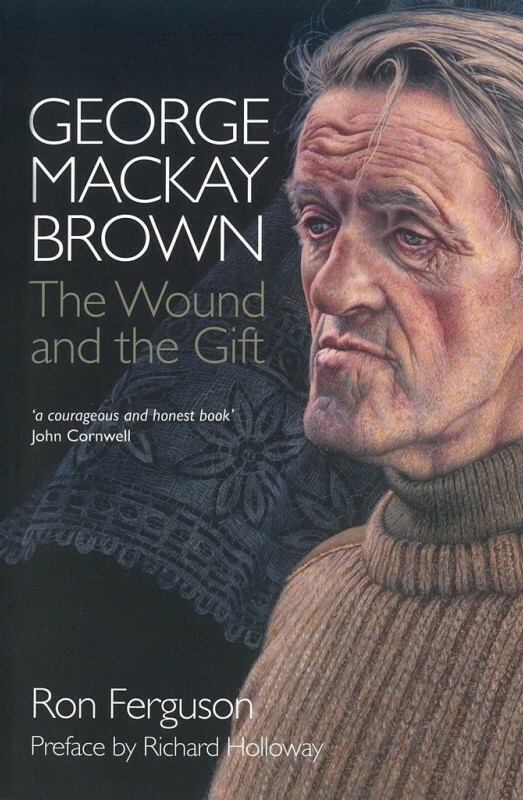 Still dogged by tuberculosis George then spent six years at Edinburgh University, achieving an honours degree in English and two years of post-graduate study. 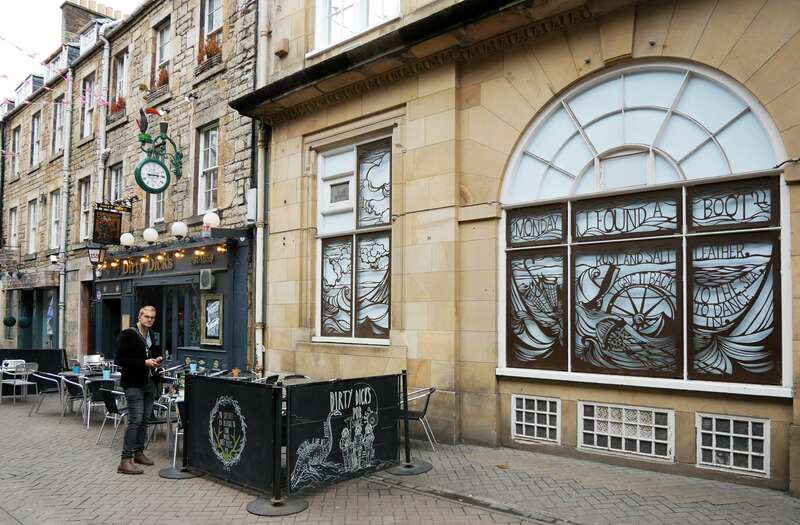 He became part of the scene in the Rose Street pubs frequented by the Scottish literati. Also, after long consideration, he converted to the Catholic faith. 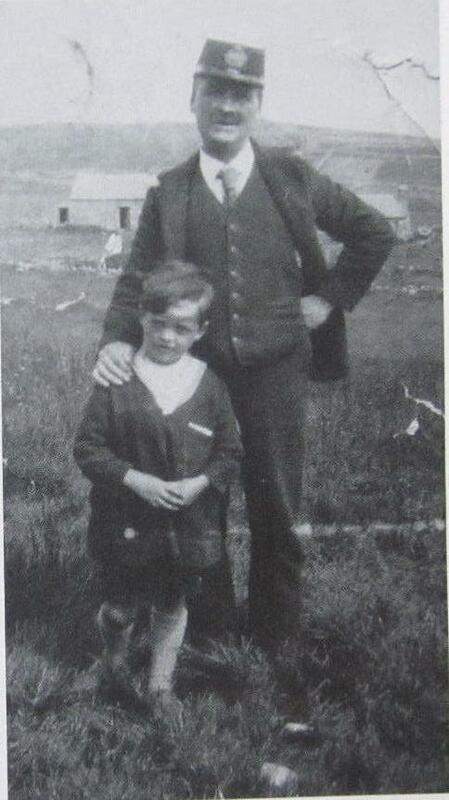 George returned to live in Stromness and maintained the discipline of writing, his sole means of income. 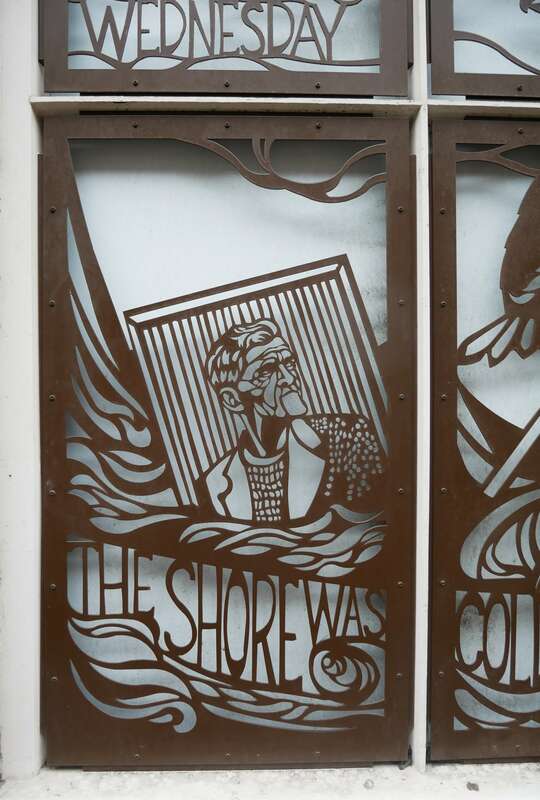 Modestly describing himself as ‘a wordsmith’ on a par with other trades and crafts, he celebrated the lives of the farmers and fishermen – providers of the ‘loaves and fishes’ on which all depend for survival. 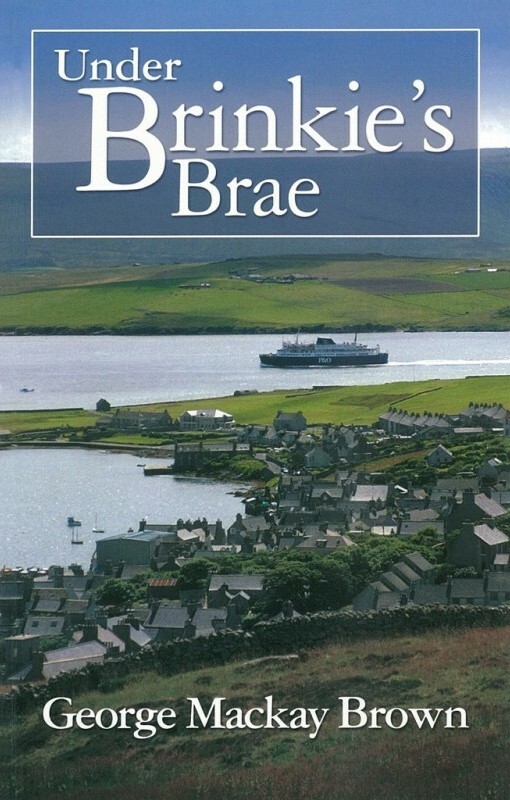 Stromness – ‘Hamnavoe’ – was a rich source for the writer. George’s reputation received a major boost in 1970 when three stories from A Calendar of Love were televised by the BBC. Poems and stories and novels flowed from his kitchen table at Mayburn Court, many to be translated for enjoyment around the world. 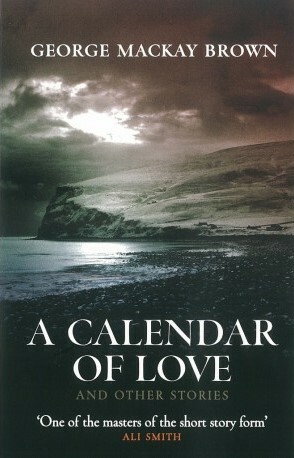 His novel Beside the Ocean of Time was short-listed in 1994 for the Booker Prize. 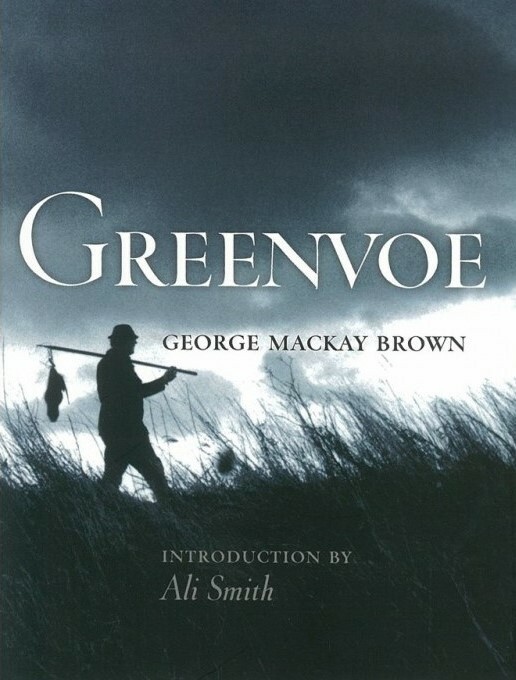 Widely regarded as one of Scotland’s finest writers of the 20th century, by his death in 1996 George had published more than fifty works, including poetry and plays, novels, short stories, essays and children’s books. 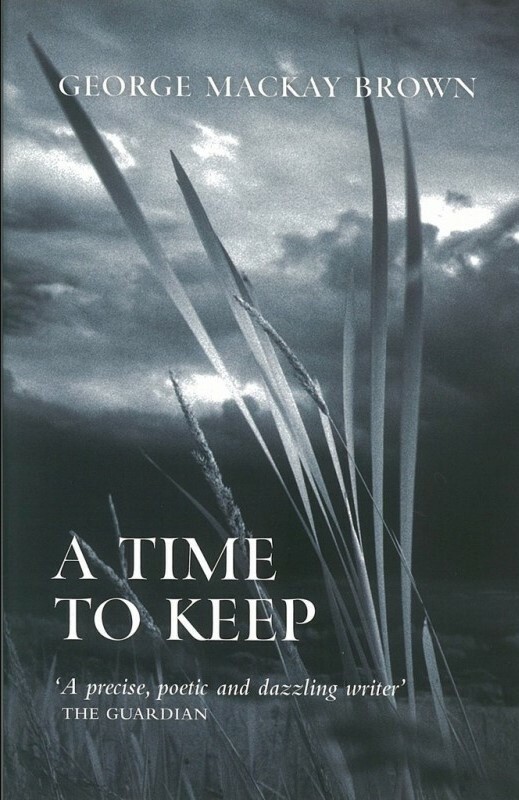 An autobiography, For the Islands I Sing, was published after his death. ‘Carve the runes, then be content with silence’. 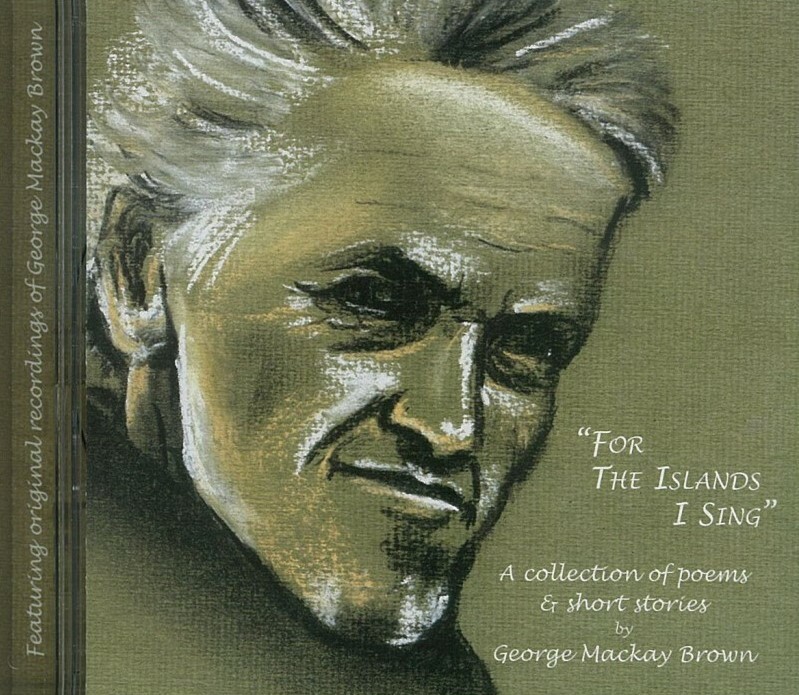 * George Mackay Brown, For the Islands I Sing. 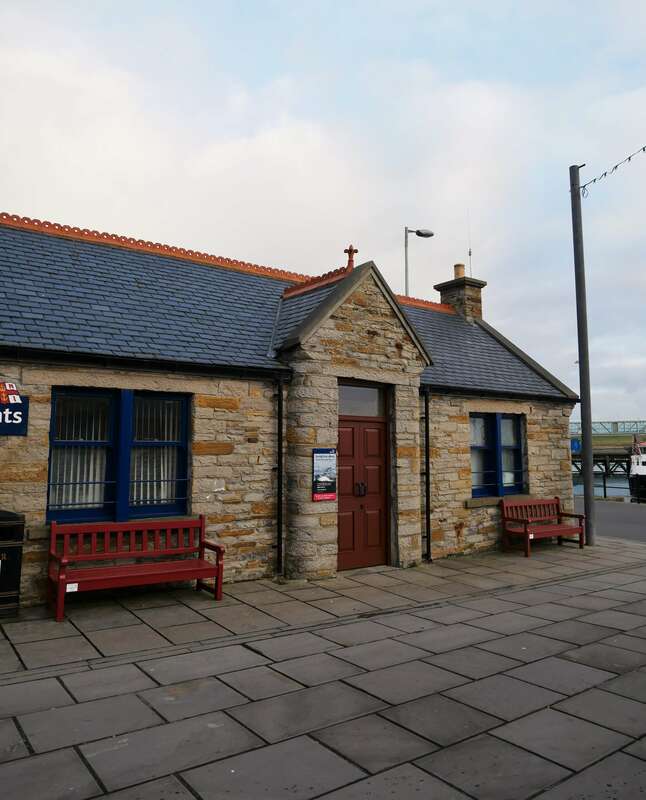 * Find out more about the Orkney Library & Archive, the wonderful source of many old Orkney photographs and other information. 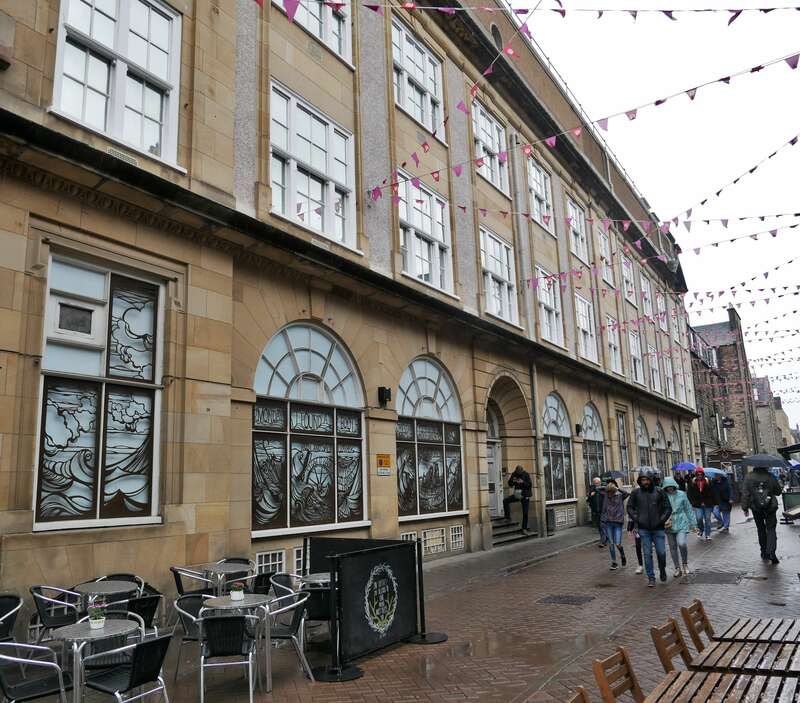 If you visit Edinburgh, be sure to look up Rose Street, George's old stomping grounds. You'll find a very special tribute to the beloved bard. 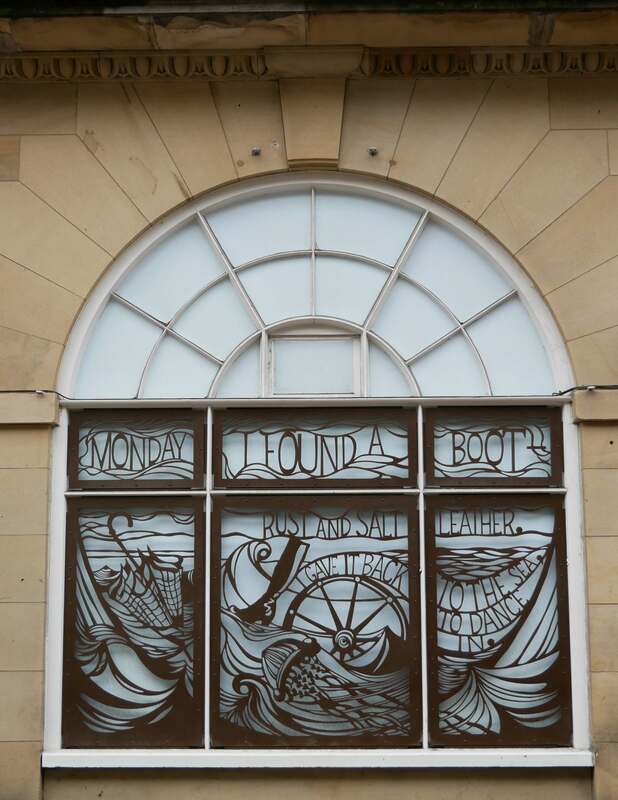 Monday I found a boot – Rust and salt leather. I gave it back to the sea, to dance in. Tuesday a spar of timber worth thirty bob. Next winter It will be a chair, a coffin, a bed. Wednesday a half can of Swedish spirits. I tilted my head. 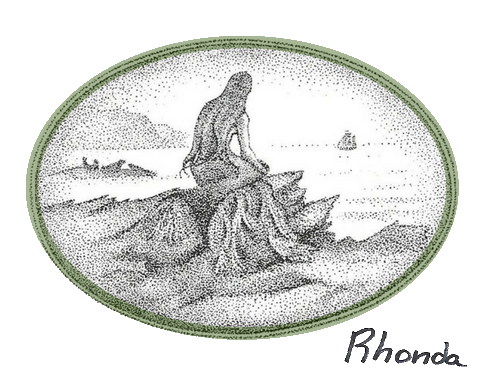 The shore was cold with mermaids and angels. Thursday I got nothing, seaweed, A whale bone, Wet feet and a loud cough. 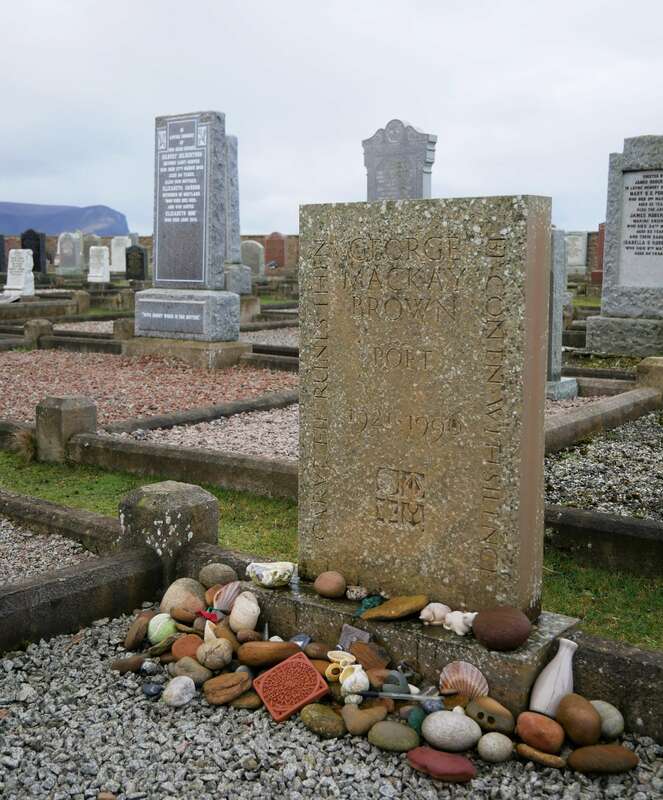 Friday I held a seaman’s skull, Sand spilling from it The way time is told on kirkyard stones. Saturday a barrel of sodden oranges. A Spanish ship Was wrecked last month at The Kame. Sunday, for fear of the elders, I sit on my bum. What’s heaven? A sea chest with a thousand gold coins. 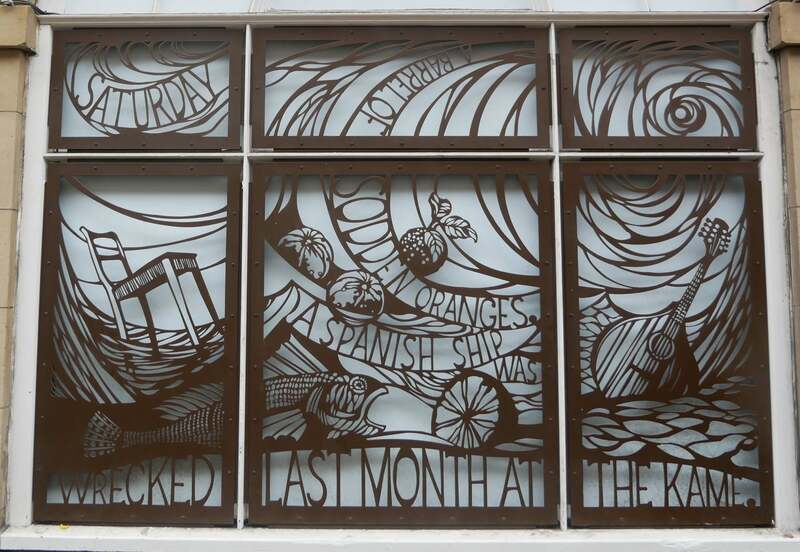 These amazing panels were designed by artist Astrid Jaekel. 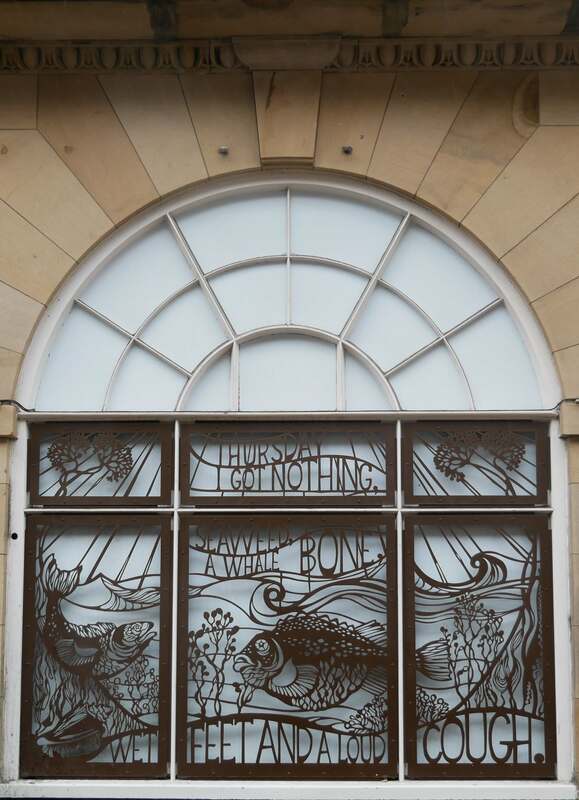 Discover them for yourself them on Rose Street, Edinburgh. The video below shows more about Astrid and her inspiration for the project. 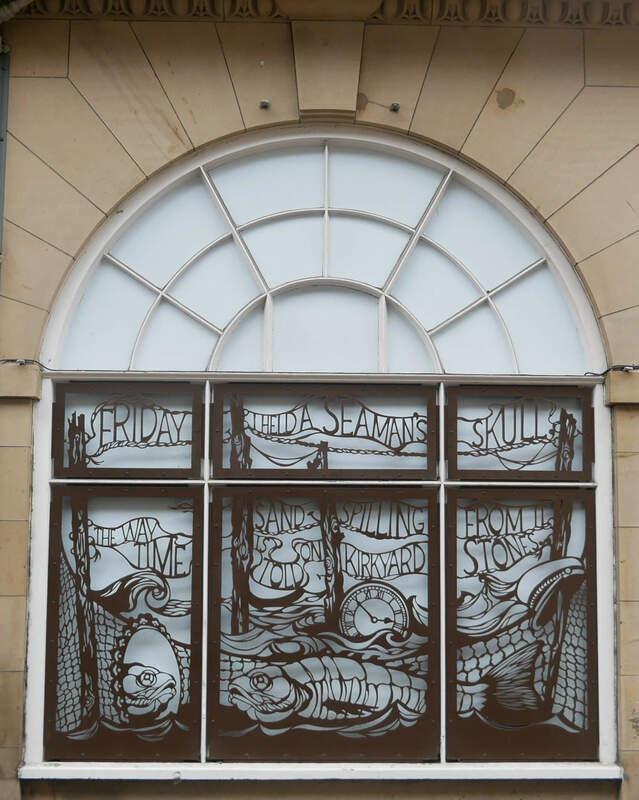 Astrid Jaekel : Rose Street Designs from arts-news on Vimeo. 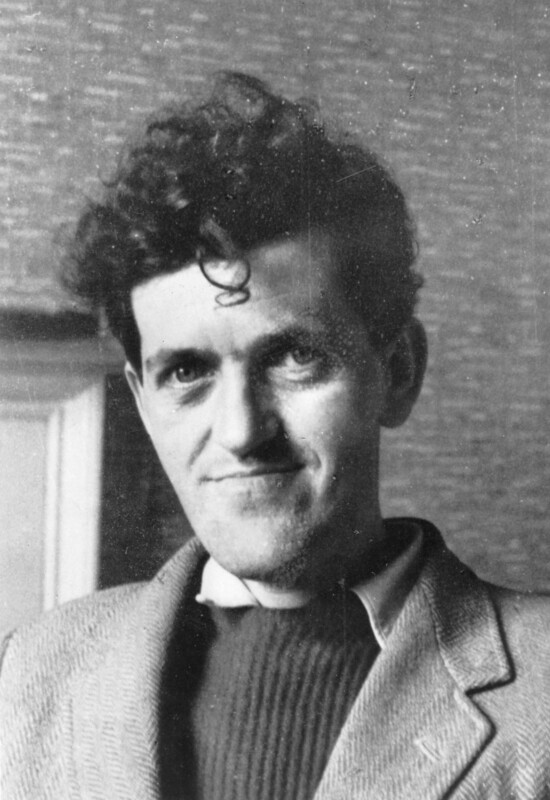 George Mackay Brown became a patron of the centre shortly before he died. 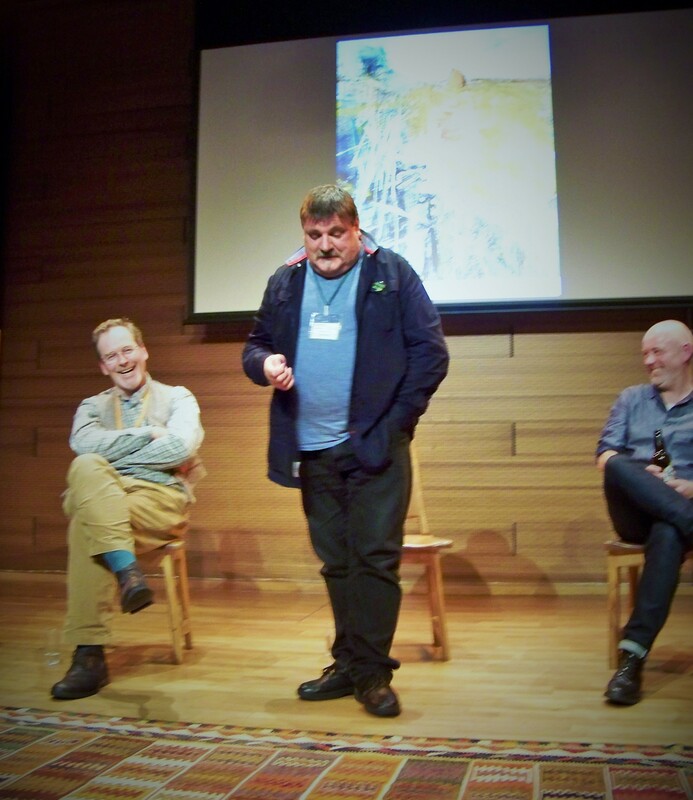 Tom was asked to tell Orcadian stories at the centre for the 20th anniversary, in honor of George. It's worth a visit if you're in Edinburgh. 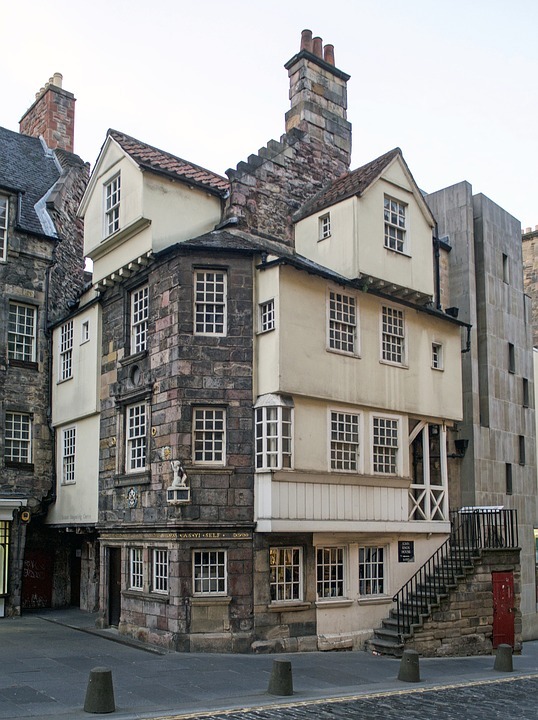 The Storytelling Centre is the adorable historic home of John Knox. 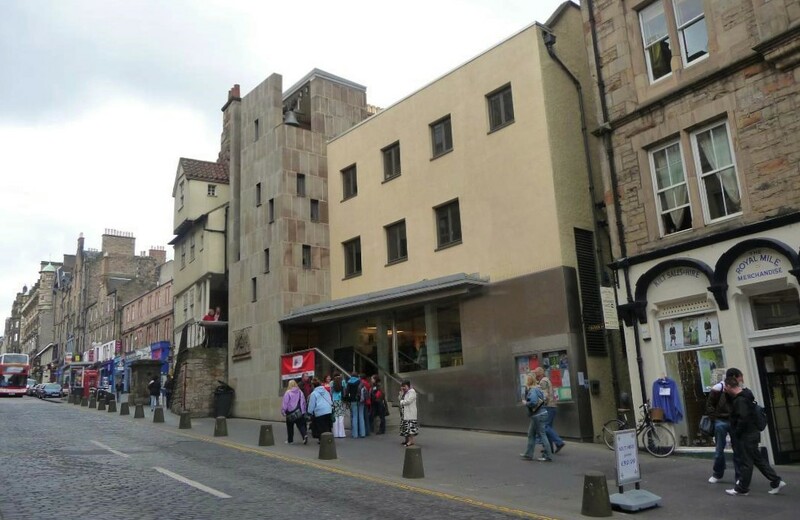 Along with the Storytelling Centre, the building houses a delicious bookshop and a nearly-as-delicious cafe. 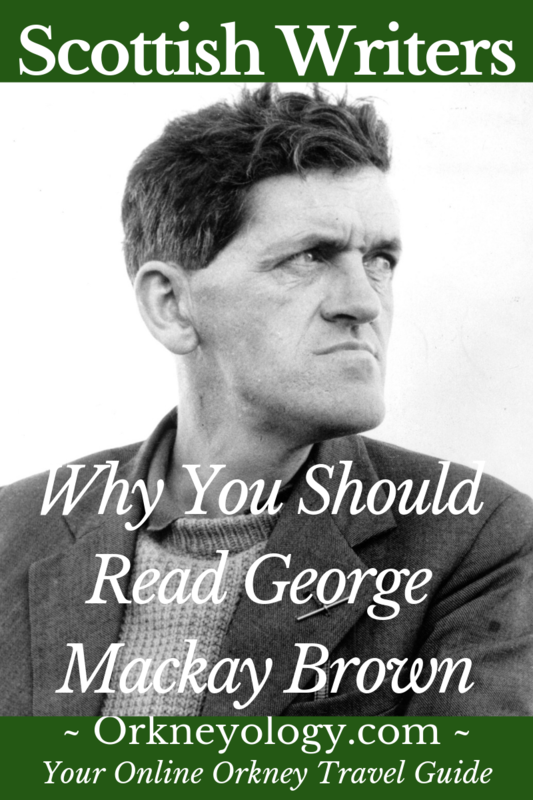 You'll find the George Mackay Brown Library upstairs. 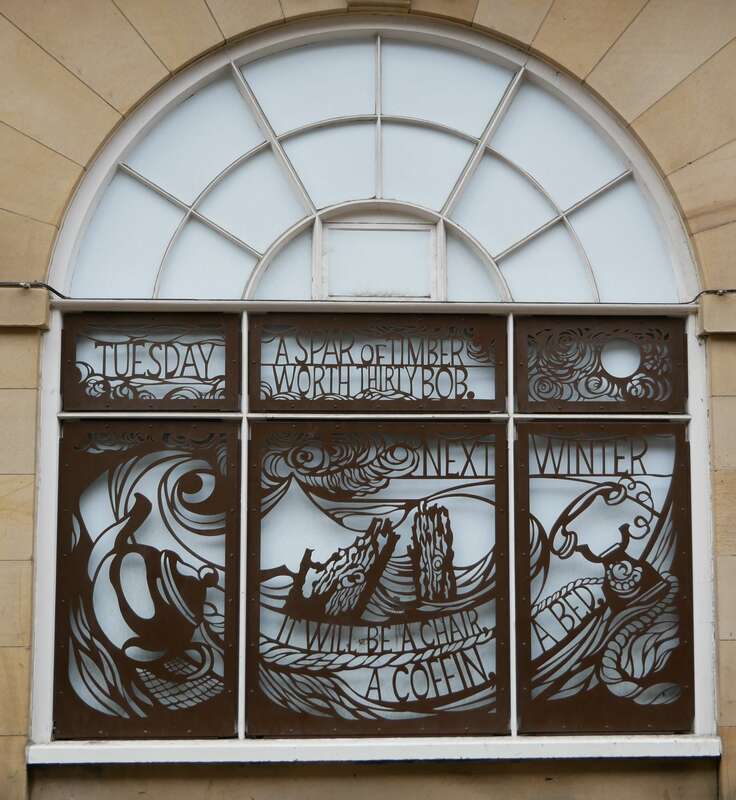 The centre hosts a full roll of wondrous storytelling events and guests throughout the year. On the other side of the Storytelling Centre you can see the historic 1621 Netherbow Port bell hanging in the tower. The culmination of the year's events is the Scottish International Storytelling Festival, held in Edinburgh every year in October. 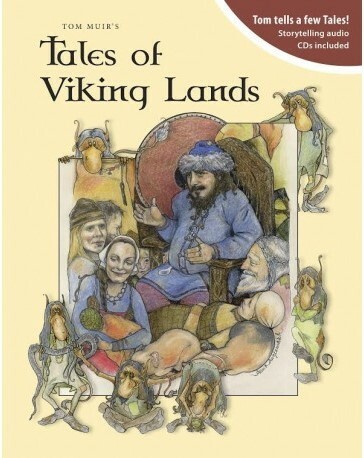 The Storytelling Centre festival runs simultaneously with our own Orkney Storytelling Festival. The Edinburgh festival runs longer, allowing the the two festivals to collaborate. 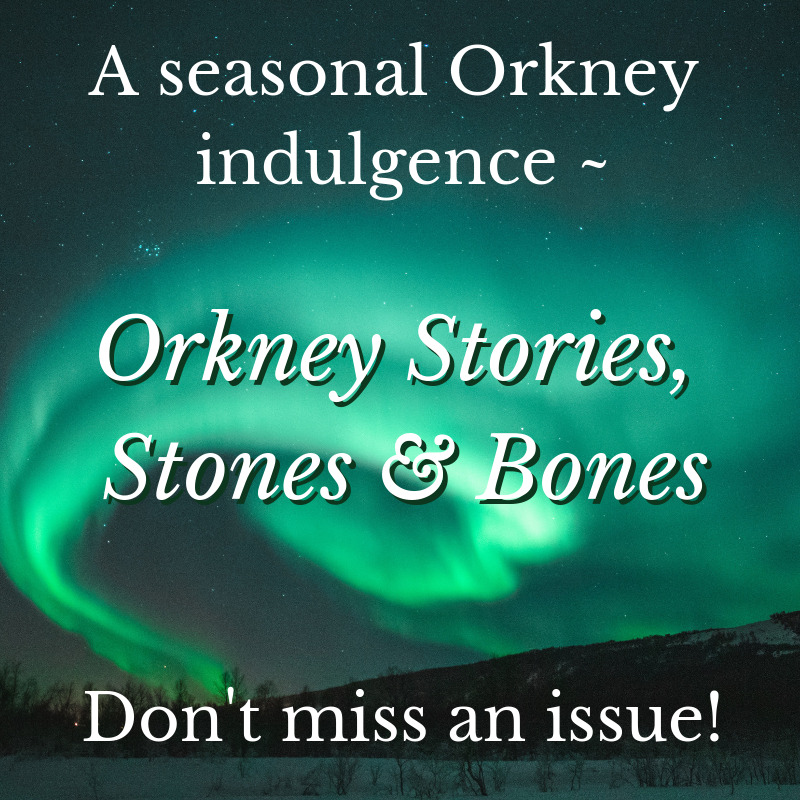 The folks in Edinburgh send Orkney a guest storyteller most years, while Tom is often asked to make a little of his storytelling magic in Edinburgh, too. Tom Muir's Storytelling Centre profile can be found here. You might want to pour a cup of tea and snuggle in to watch the short(ish) film to follow. It's about friendship, music and inspiration taken from the land - in particular, Orkney's Rackwick Valley on the island of Hoy. You'll hear George reminiscing, as well as Master of the Queen's Music, Sir Peter Maxwell Davies - "Max" to his friends. Please enjoy "The Valley by the Sea." For more visitors' details about the enchanting valley described in the this video, see our Rackwick Valley page. 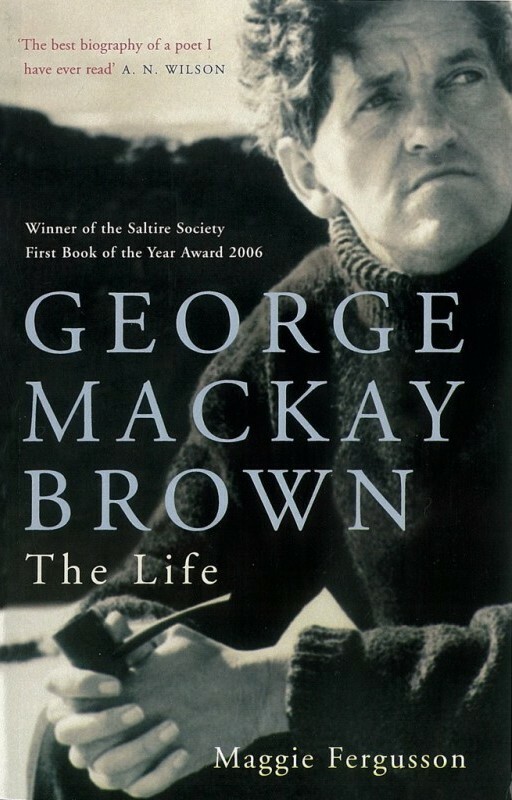 Stromness Library has an Orkney reference room named after George Mackay Brown. 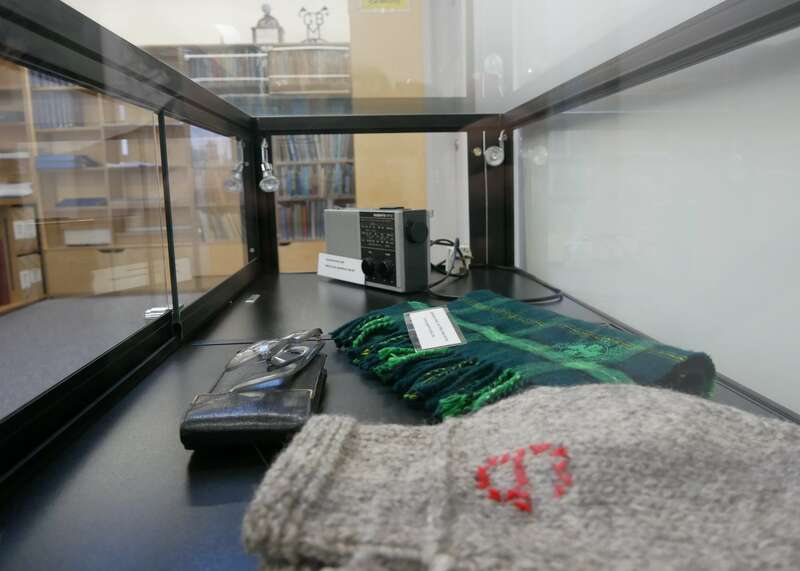 It houses a few of the poet's personal belongings along with a great collection of Orkney research materials. 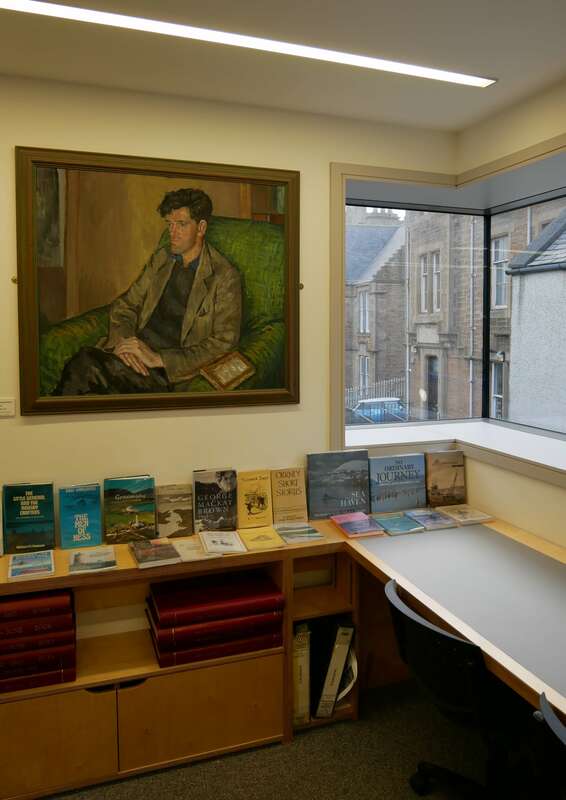 You'll see several paintings of George in the library, too, and have a lovely view of the town from the GMB room window. 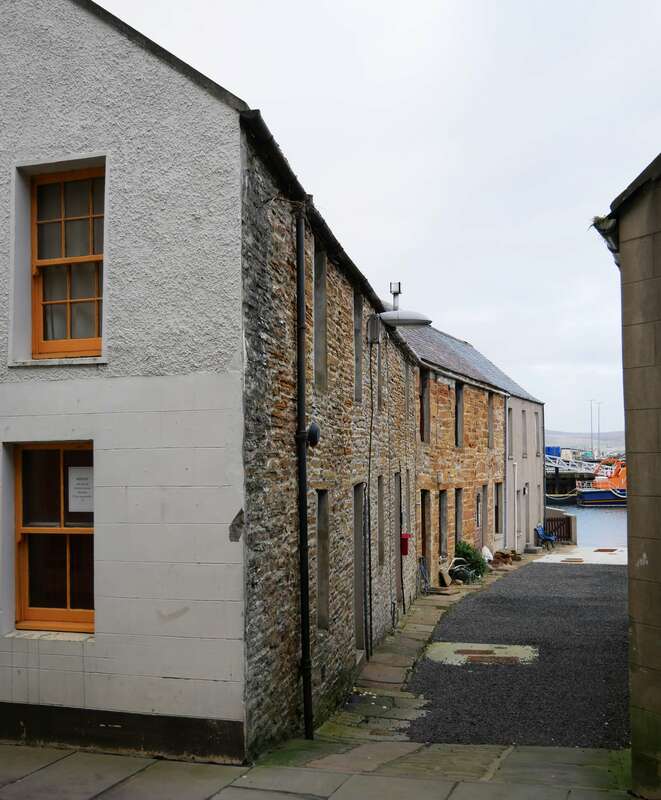 Directly across from Stromness Museum is the Mayburn Court top floor flat where George spent his last years. 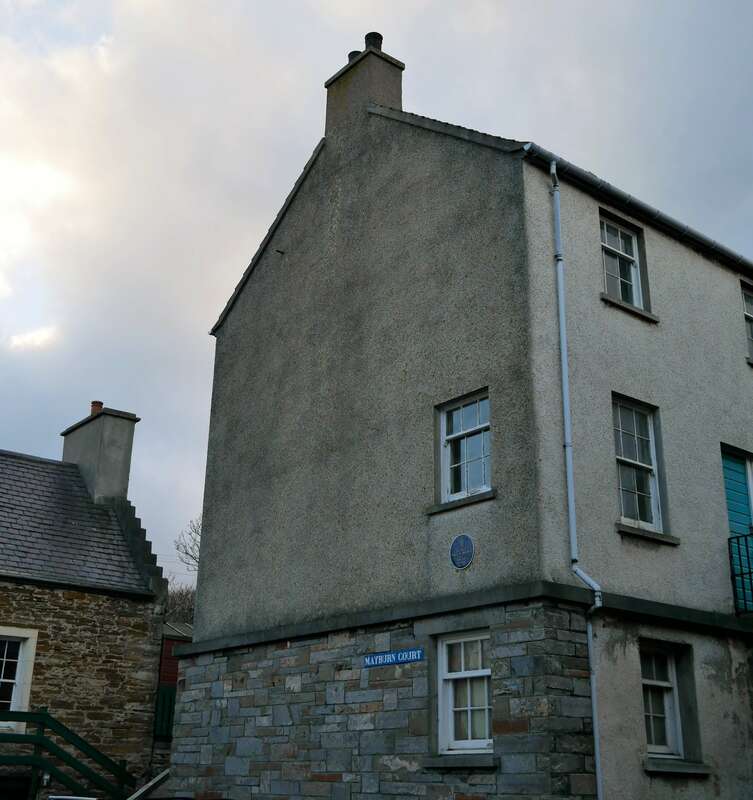 It's marked by the blue plaque that designates places of special historical interest in Stromness. George and his cronies used to while away many a sunny afternoon discussing important affairs of the day in this spot near the Lifeboat building at the pier. 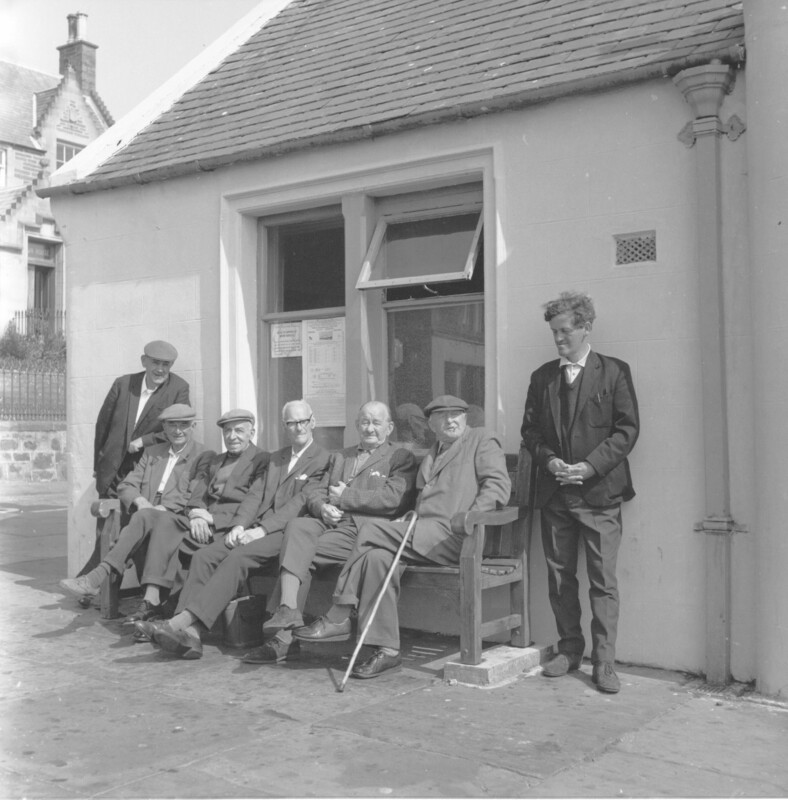 Charles Senior originally founded Stromness Books and Prints, locally known as "Tam's" and more recently, "Sheena's." George was Charlie's good friend. 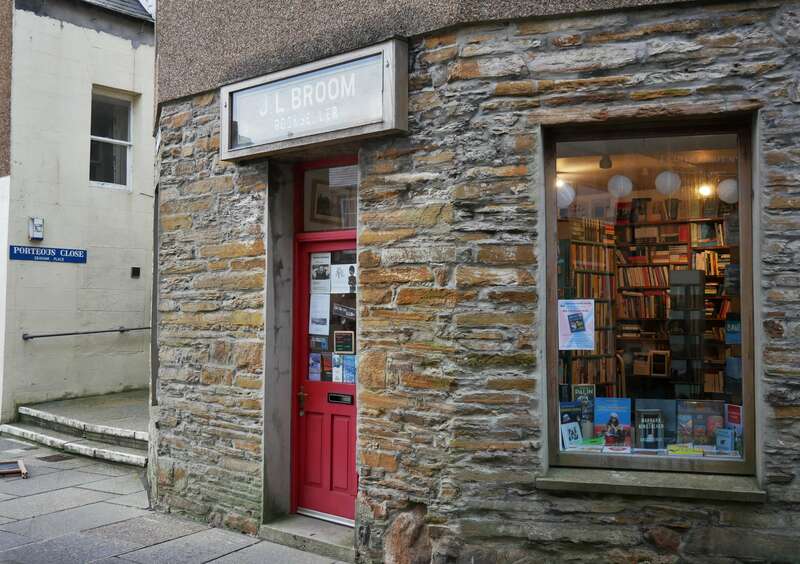 No doubt he would have spent a lot of time in our favorite wee bookshop - the best bookshop in the world, according to my daughter, Bridgett. You'll find this bench dedicated to George outside of town. Go past the museum and George's house. Look for the cannon on the left. 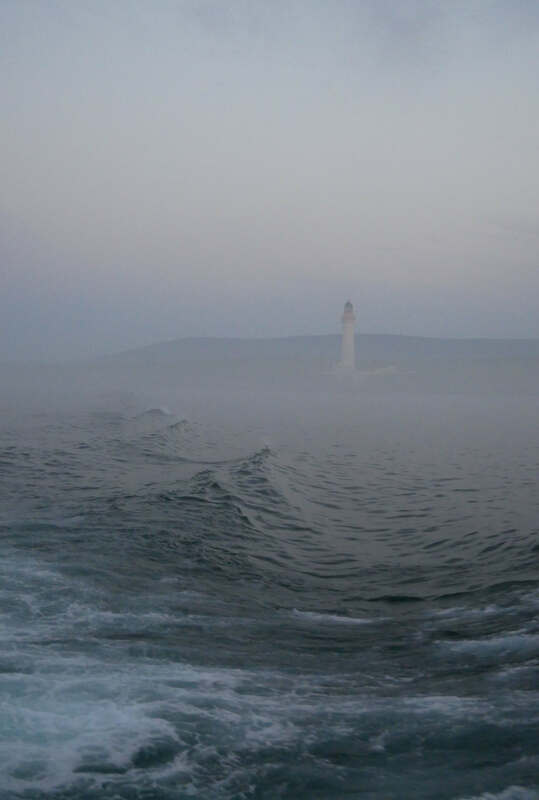 This fellowship was formed in 2006 to encourage and celebrate writing and writers in Orkney. Along with their regular activities, the fellowship has awarded two year-long fellowships and hosted book and writing festivals. 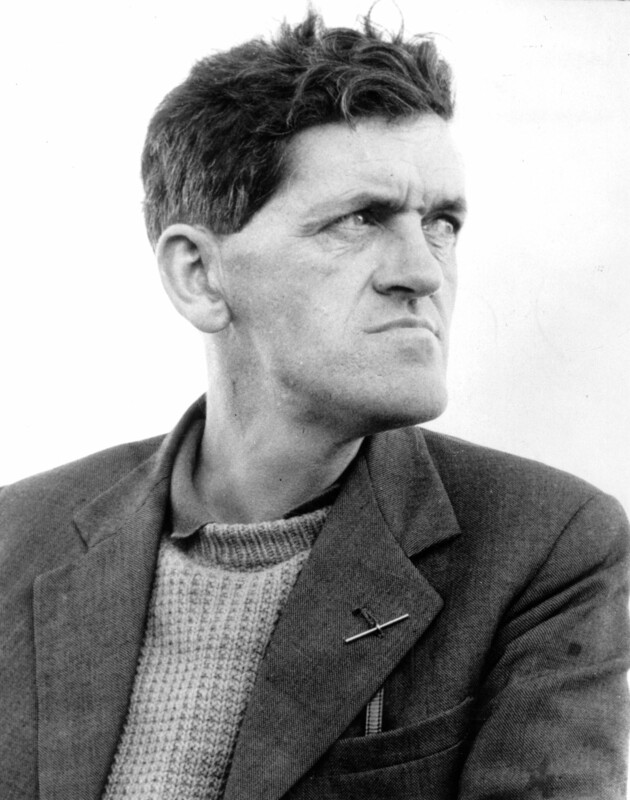 The George Mackay Brown Fellowship boasts several distinguished patrons: Sir Andrew Motion, Stewart Conn and Liz Lochhead. A special thank you to Bryce Wilson for his help and advice, and for letting me use his words. 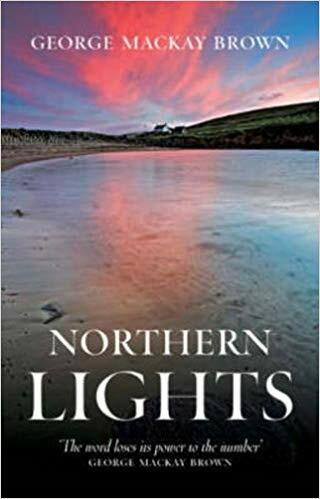 Click on the titles below to order from our local Orcadian Bookshop website. 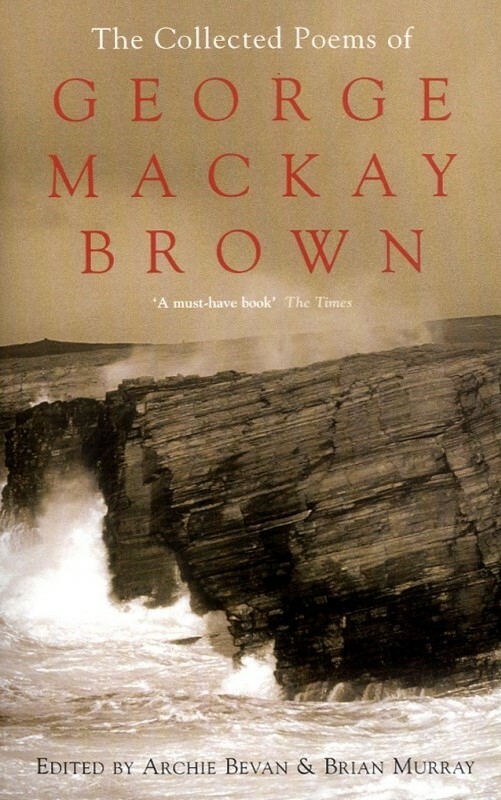 Looking for delightfully obscure Orkney books? We suggest a scrounge through the virtual book shelves of the reputable book sellers below. 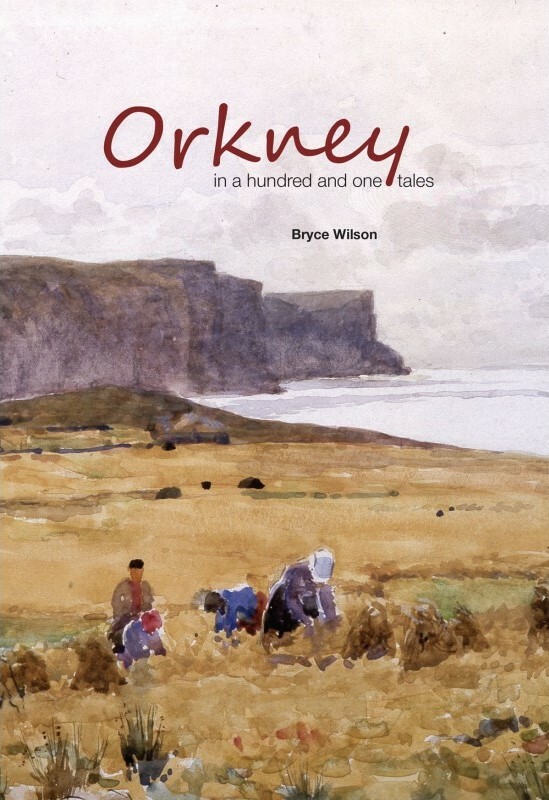 Out-of-print Orkney book prices are often more reasonable on the AbeBooks and Waterstones websites than on Amazon, but not always. It's a good idea to check them all if you can't find a decent deal. Sometimes one site is advertising a ridiculous price, while another has a very reasonable offer. Check back occasionally if you don't see what you want. New sellers and new offers are constantly added to these sites. And I'm sure I don't need to remind you of the happy chance that you'll discover unexpected bookish dainties while you browse. AbeBooks UK - AbeBooks has been acquired by Amazon, but many of their book sellers aren't on Amazon, so they're worth browsing. Most of the individual sellers on AbeBooks will ship internationally. Waterstones - This UK-based company will ship internationally, too. 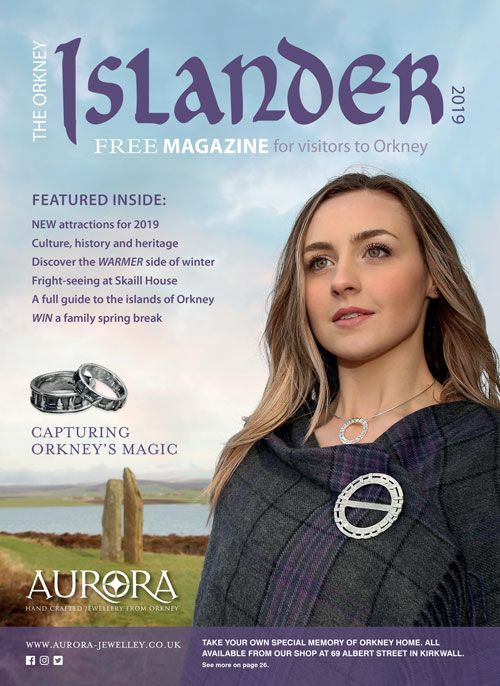 Find more Orkney fine folk below - many more to come!